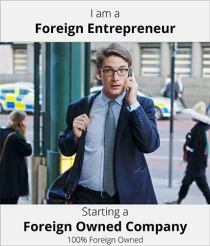 Foreigners often occupy the position of foreign director in multiple companies in Indonesia. There are however several restrictions to director positions in Indonesia, such as the restriction to occupy multiple director positions under certain conditions. This article will clarify the related laws and regulations and explains the general restrictions of foreign directors in Indonesia. One of crucial things when setting up a Foreign Investment Company, also known as PT PMA Company in Indonesia is deciding the shareholders, director and commissioners of the PMA Company. This can prove to be frustrating for foreign investors; even more if one is not familiar with the Indonesian laws and regulations. Principally, arrangement regarding shareholders, commissioners and directors in an Indonesian Company is regulated under the Law No 40 of 2007 on Limited Liability Companies in Indonesian Company Law. The shareholders – through General Meeting of Shareholders – Commissioners and Directors are referred to as “Company Organs” which have specific role and responsibilities. Under the Company Law, every company at least must have 2 (two) shareholders, 1 (one) director and 1 (one) commissioner. This writing we will gives a brief explanation about Company Organs in PMA Company. Director through the Board of Directors has an obligation to run daily activities of the company. The Board of Directors has full authority and responsibility for the management of the Company in the interests of the Indonesian Company in accordance with the company’s purposes and objectives and to represent the company in and out of court in accordance with the provisions of the Articles of Associations of the Indonesian Company . The Director in the PMA Company can be foreigner or Indonesian individual and they must be appointed by the GMS. Further, if the GMS resolves to appoint more than 1 (one) directors, then one of directors should be appointed as the President of Director who will lead the BoD. In addition, if the PMA Company appoints foreign individual as a director, the foreign director does not need to apply for the IMTA as well as the KITAS, however the PMA Company still should apply for the Foreign Worker Utilization Plan (“RPTKA”-Rancangan Penggunaan Tenaga Kerja Asing). As mentioned above, company Law article No. 40 of 2007 on Limited Liability Companies provides general regulations regarding members of the Board of Directors. Article 93(1) of the Company Law regulates the restrictions of members of the Board of Directors. Committed a financial crime or financial sector related crime for which they have been charged as guilty. Apart from these general restrictions, both for a local director and a foreign director have specific restrictions stipulated in other regulations. This is in line with article 93(2) Company Law, which state that specific regulations may stipulate additional requirements. is capable to control the market share of certain goods and or services, which could lead to monopolistic practices and or unfair business competition. In the regulation of the Business Competition Supervisory Commission Number 7 of 2009 on Guidelines for Dual Function Under provisions of Article 26, a further explanation is provided regarding the scope of article 26 of Law number 5 of 1999. The guidelines form a detailed and comprehensive instruction how to interpret article 26. For each individual situation these guidelines should be consulted in order to determine whether or not there is a violation of article 26 Law number 5 of 1999 in case a director holds or has the intention to hold multiple director positions in different companies. an order to stop activities or actions resulting in losses to other parties. Apart from the restrictions based on monopolistic practices and unfair business competition, other restrictions for a foreign director can be found in regulations related to director positions in the capital market. Attachment, article 2(a.1) of the regulations of the Securities and Exchange Commission number III.A.3, III.B.3 and III.C.3, requires that every director of the Stock Exchanges, Clearing and Guarantee Institution and Depository and Settlement must be an Indonesian national. Therefore, these director positions are not available for foreigners. In the event specific restrictions  of legislation is not applicable to a foreign director, a foreign director is allowed to hold multiple director positions. (Article 2) Employers of foreign workers are prohibited from employing foreign workers who are employed by other employers of foreign workers. (Article 3) The provisions referred to in paragraph (2) are exempted for foreign workers who occupy the post of the Director or the Commissioner based on the General Meeting of Shareholders. The above mentioned paragraph 3 provides a clear and explicit exception to the prohibition to work in multiple companies as stipulated in paragraph 2 of the same article. Based on the foregoing it can be concluded that, under circumstances, it is possible for a foreign director to hold multiple positions. It is however strongly recommended to seek legal assistance to evaluate each individual situation, since sanctions of non-compliance with regulations can lead to severe (criminal) sanctions.